What Would the Three Spirits Show You? With the holiday season upon us, there has been no shortage of opportunities to view those classic shows and movies we look forward to every year. Maybe you’re a Charlie Brown Christmas type of person, rooting for the underdog as the true meaning of Christmas is revealed. Or, perhaps you opt for laughter in your holiday movies with Elf or A Christmas Story, or stick with a classic like It’s a Wonderful Life. In addition to those programs, I imagine that at some point over the past several weeks you have come across some version of A Christmas Carol on your television. It could be the Disney version or George C. Scott’s amazing performance, or one of the dozens of sitcoms that have offered their own spin on the story. One person gets the opportunity to revisit his past, get a better understanding of current circumstances all around him, and catch a glimpse of what the future may hold. Have you ever watched A Christmas Carol and wondered what such an experience would look like for you? Let me offer a narrower focus — how would the journey through your professional past, present, and future appear? Would you be taken back to college and cringe at your choice of major or lack of drive to go after that amazing internship? Would you get to see that apartment you shared with two buddies after graduation that had crates for tables and ramen noodles on the stove but represented a time when you all were working hard and starting to pave your way and having a blast doing it? Would you get a chance to look into the office next to yours and see a co-worker’s talents that you have overlooked? Would you see a dinner table at your home without you sitting at it because you are working late yet again? Does your future show a corner office and a true sense of achievement and professional contentment? Or, do you see someone struggling with the fact that he never went after his dreams with all of his energy? 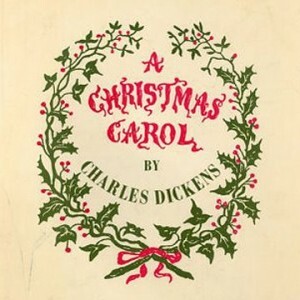 Share some of your thoughts — How would A Career Christmas Carol look to you?